On our first evening, we had made a reservation at a highly regarded restaurant in downtown Charleston, that had said they are gluten free friendly. When we walked into this very "posh" restaurant, S.N.O.B. (Slightly North of Broad) full of the South Carolina charm, we were pleasantly surprised when they handed me a completely Gluten Free dinner menu. "Sigh"- this makes dining at a restaurant so much easier when they have items selected as gluten free in a separate menu and the chef shows knowledge of a severe gluten intolerance. We had an amazing dinner, and we ate it so quickly I don't have any pictures of our meal! The staff was friendly and welcoming, especially for a "higher end" restaurant, and like I said, the chef and his kitchen staff was knowledgeable about avoiding cross contamination and what gluten is. 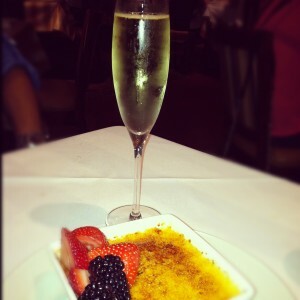 We had a worry free dinner, and even enjoyed a dessert (creme brulee) and an after dinner glass of prosecco! On Saturday afternoon, we had another batch of free time to explore Charleston. We did the "tourist thing" and walked through the market, and headed towards King Street and the fashion district, but my true mission was to get us to lunch. I had googled gluten free restaurants in that area of Charleston and found the perfect lunch spot, the PatatSpot, which even said that it had been GIG trained, meaning every single staff member understands the importance of avoiding cross-contamination and using clean work spaces and separate fryers, and everything else under the sun that most restaurants don't make the effort to make happen in their kitchens. When I walk into places like this, where I can eat without any worry, my smile is as big as it can be and I savor every single bite. The PatatSpot, a friet and falafel spot is the street food experience, inside a very clean environment, with fresh ingredients and done the right way! I was thrilled that one of the owners (Phillis) was in the store while we were there, she was so vibrant and so excited that she could feed me. She reassured me that everything that would be served to me would be made in their gluten free only section in their kitchen and that everything would come fresh from a non-contaminated spot in their fridge. She also shared with me that their fryer for their fries was dedicated gluten free. Perfect! So you better believe I treated myself to an awesome lunch. 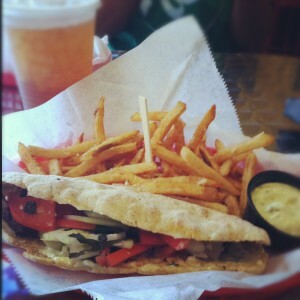 I ordered the #5, Beef Shawarma in a Gluten Free Pita, oh my goodness, it was so tasty, my mouth is watering right now! I of course had to try some of their fries done "Viva Italia" style. It was amazing and such a treat and I couldn't stop smiling! We had the best time in Charleston exploring and taking part in the awesome cause we traveled there for. We both hope that we will get to return again someday soon! Gluten Free friends, if you find yourself traveling through Charleston, try these to excellent spots, S.N.O.B. and the PatatSpot, you won't be sorry! Please share with me all of the other excellent gluten free friendly spots you love in Charleston! You are awesome! Thanks for sharing all your travels and adventures with all of us. Roberto is still hot even if it’s just the back of his head lol! Hey Tenley! I find your site super-interesting and filled with great information. I am trying to learn more about gluten-free food so to read a nicely written description on what to look for is definitely helpful. Great job! P.S. I am Roberto’s Aunt and Godmother and he has mentioned how much he appreciates yours and Kiptyn’s friendship. Very nice– God Bless! Maira, thank you so much for exploring my website. 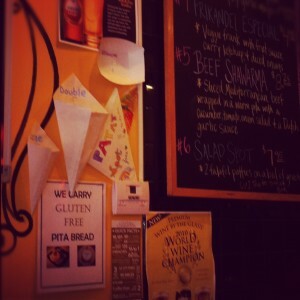 There will be a lot more Gluten Free posts with information coming soon! Kip and I love Roberto, and we are grateful to him for being such a great friend too! My husband is gluten, dairy, and egg-free. I am gluten-free. We have been living in Charleston for five years. 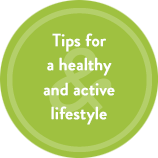 In the past six months, we have noticed that pretty much any local restaurant will modify for our diet! We have been able to eat at Hall’s Chophouse (kitchen almost entirely gluten-free), Husk, Carolina’s, Graze, The Grocery, FIG, and, of course, S.N.O.B!!! We just call before we go to a new restaurant, and they are all sensitive to our needs. You should try it next time you are in town. You will be so happy! This is so wonderful Jamie, so happy to hear it! I hope to get to go back someday. I’m in love with it there.